The hyperloop technology is a pod-like vehicle, operates over a reduced pressure tube that reaches average speeds of around 600mph. This technology provides transport facility at high speed with low cost, compared to other transportation modes. The hyperloop is a proposed mode of passenger as well as freight transportation, and is resistant to earthquakes as well as would enable to reduce greenhouse gases. 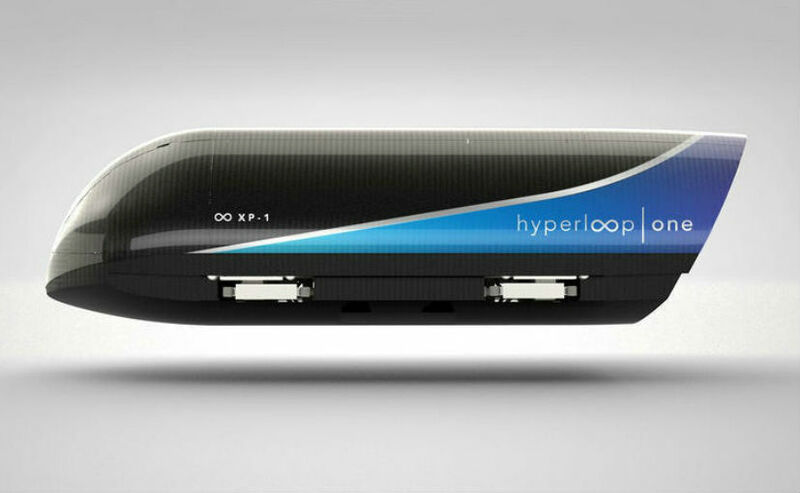 The Hyperloop concept functions by sending specially designed pods or capsules inside a steel tube maintained at a partial vacuum. The rise in demand for the fastest and low-cost transportation and the increasing need for traffic decongestion across the globe is expected to boost the global hyperloop technology market over the forecast period. On the flip side, low awareness about the hyperloop transportation technology, and strict government regulations may hinder the growth of this market. Moreover, commercialization in technology, growth in business are some of the features, as well as need for decongestion of cities would provide several growth opportunities in coming years. As per Variant Market Research, the global hyperloop technology market has been categorized on the basis of component, transportation, and geography. The market by component is further segmented as tubes, capsules, and propulsion system. Transportation is further segmented into passenger, and freight/cargo. The geographical segmentation of the market includes North America, Europe, Asia-Pacific, as well as Rest of the World (RoW). Further, U.S., Mexico and Canada are covered under North America wherein Europe covers UK, Germany, Italy, France, and Rest of Europe. Asia-Pacific includes China, India, Japan, South Korea, and Rest of Asia-Pacific. Rest of the world (RoW) covers South America, Middle East and Africa. As per Variant Market Research’s report, entitled the global hyperloop technology market, competition in the market is constantly growing due to the fact that many existing players in developing countries are adopting business expansion strategy. The key companies competing in the global market includes Hyperloop One, Badgerloop, MIT Hyperloop, Hyperloop Transportation Technologies, BITS Hyperloop, Open loop Inc., Spacex, Delft Hyperloop, Transpod Inc., and AZloop, among others. On 18 February 2018, Hyperloop One developing a near-supersonic mode of onground passenger travel signed an ‘intent agreement’ with (Maharashtra) India, to build a hyperloop-based transportation system between Mumbai & Pune. This aims to reduce travel time between the two cities to 20 minutes from three hours. According to the company officials, teams are working to study the feasibility of the route. Within six months, the final feasibility study may be completed and test track construction can start in early 2019 & finish by 2021-end. If the tests are successful, it would take around four years to build the entire Mumbai-Navi Mumbai-Pune track. The company is also working on building a hyperloop based transportation system between Dubai and Abu Dhabi, which is probably to be commercialized in Dubai by 2022. The another proposed hyperloop route is between Los Angeles to Las Vegas, in the U.S., likely to be commercialized by 2023.